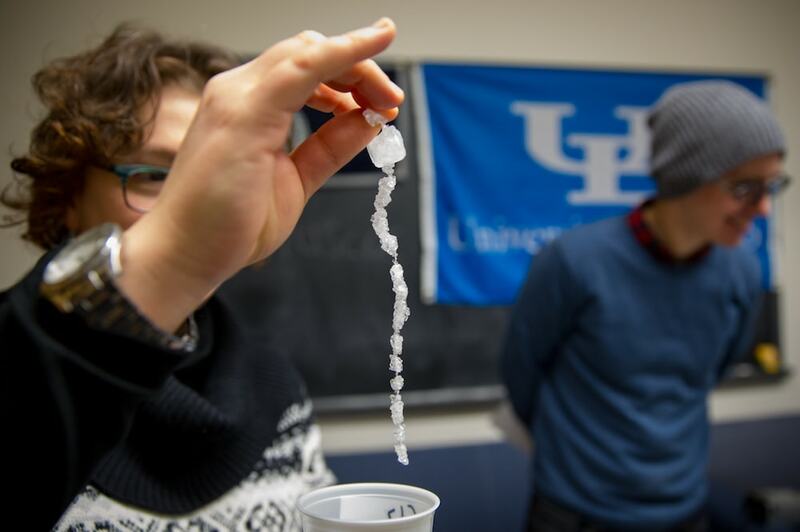 In the late fall of 2017, the holidays came early at the University at Buffalo’s chemistry department. 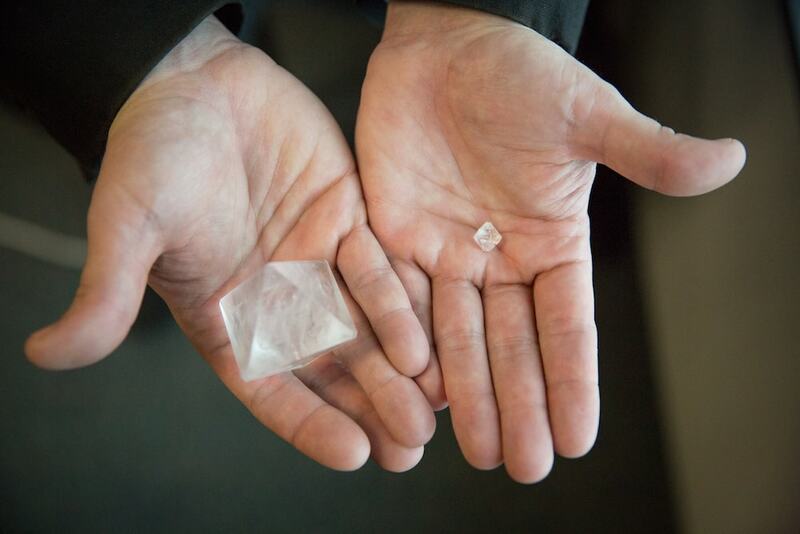 The office received hundreds of packages, each containing a home-grown crystal. But they weren’t presents—the packages were submissions to the United States Crystal Growing Competition. Now in its fourth year, the 2017 competition garnered just over 150 crystals grown by young scientists, from high schoolers to kindergarteners. 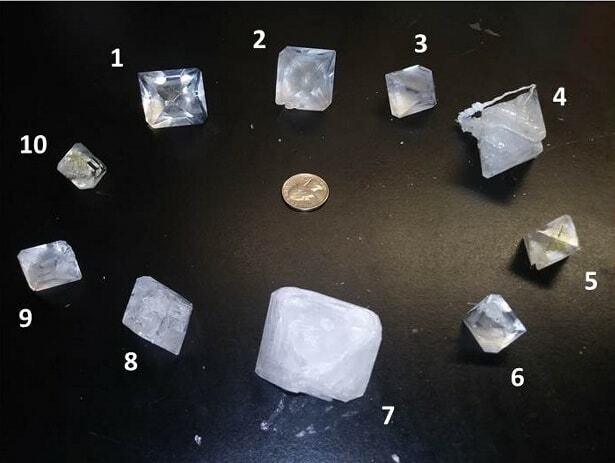 For five weeks, the competitors concocted crystalline wonders using a base of aluminum potassium sulfate. They ranged in clarity, color, and size—some as large as golf balls. 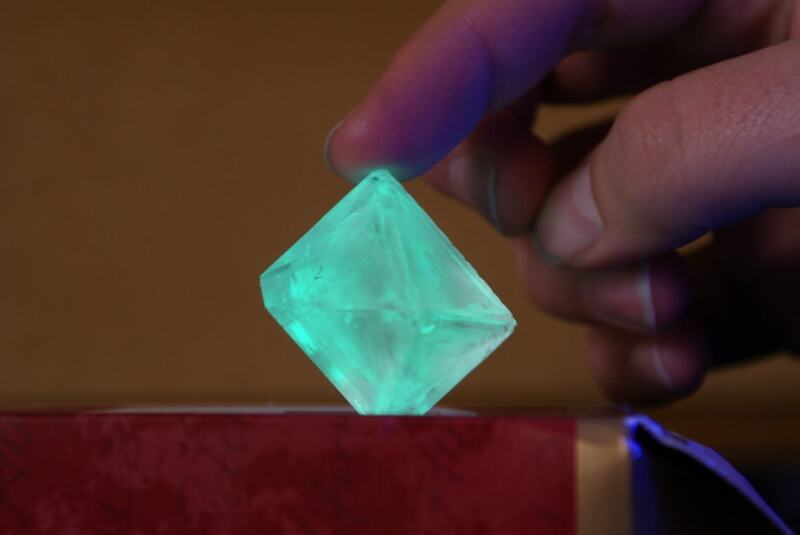 One crystal even glowed a bright lime green under UV light from adding highlighter fluid during the growing process. While you can grow simple crystals at home—think chocolate or snowflakes—in research labs scientists have developed techniques to grow different complex crystals with unique properties. For instance, researchers can create new crystal structures of existing materials, or polymorphs, by applying more pressure or heat—a process being used in superconducting and pharmaceutical research. As a crystallographer studying the motion in crystals, Benedict has even grown crystals that can talk to their environment and alter their properties with light. Benedict joins Ira to discuss the curious chemistry of crystals, highlight some of the gems of the most recent U.S. Crystal Growing Competition, and provide tips on how you can grow them yourself. Plus, check out some of the entries of the 2017 competition and unique, delicate structures of snowflakes below. *Correction 1/29/2018: A previous version of this article credited an image to Jason Benedict, and has been corrected to Gage Bateman. An image caption incorrectly stated that the purple crystal was a winner of the “Cool Crystal” category. It was an entry. The number of crystals submitted to the 2017 U.S. Crystal Growing Competition has been updated to over 150 crystals. 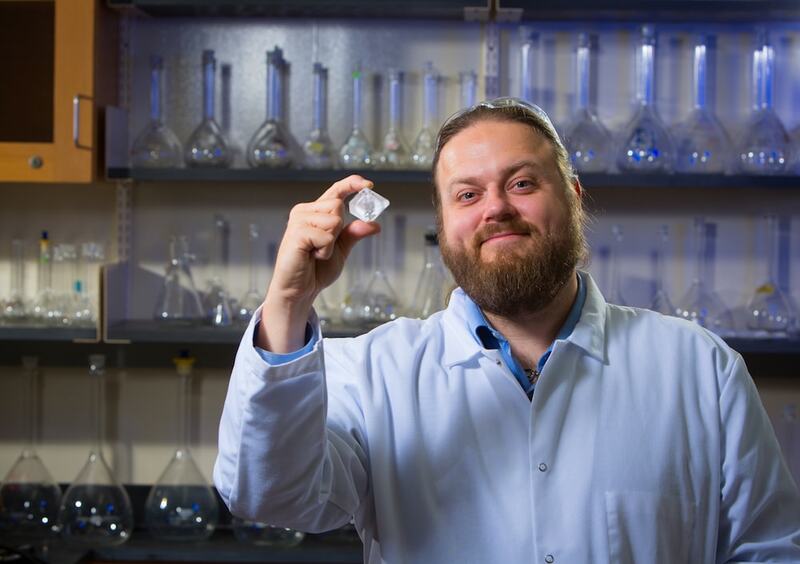 Jason Benedict is an associate professor of Chemistry at the University at Buffalo in Buffalo, New York. IRA FLATOW: Of course, you’ve heard that every snowflake is unique. Each one has its own special shape. That is true. But each flake is guaranteed to have six sides. You know those eight-sided snowflakes you see on holiday cards? Well, they might exist on a Hallmark Store in a distant galaxy but not here on Earth. And why is that? Well, the answer is crystals. 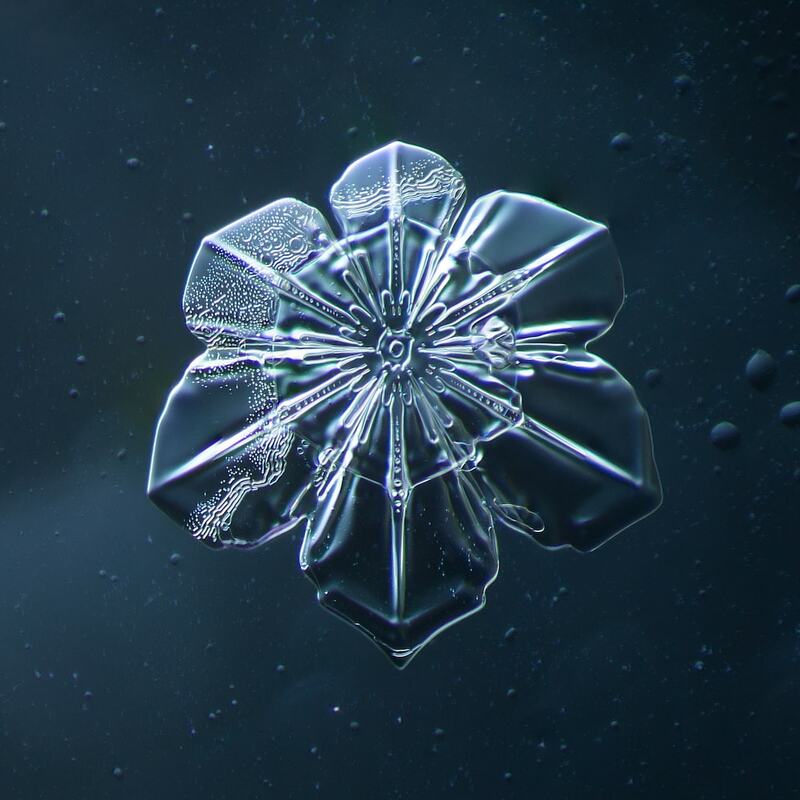 Crystals or crystalline structures are not just in snowflakes. They’re all around you. They’re in diamonds and even chocolate. My next guest is all about crystals. He’s a crystallographer, and he studies the chemistry of crystal structures. 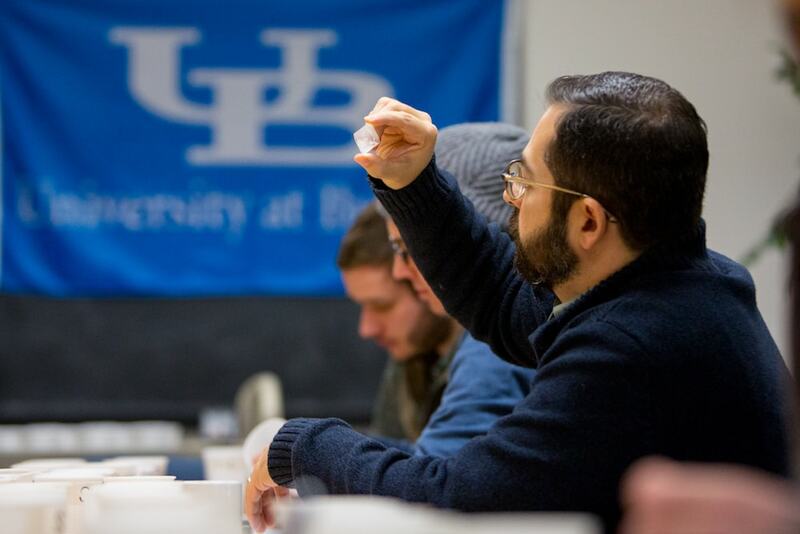 Jason Benedict, Associate Professor of Chemistry at the University of Buffalo in Buffalo– my Alma mater. Welcome to Science Friday. JASON BENEDICT: Hi, Ira. Thanks for having me. It’s a real pleasure to be here and to get to chat about the exciting science of crystals. IRA FLATOW: It is. Let’s start with the basics because I don’t think everybody knows what a crystal is. What defines a crystal? Give us a simple definition. JASON BENEDICT: Yes, so one way to think about it is you have basically atoms or molecules that are going to arrange themselves in a repeating pattern. The simple case that everyone is probably pretty familiar with is something like salt or sodium chloride where you have alternating layers of sodium atoms and then or sodium ions and chlorine ions. And these extend in all three dimensions. It can get a little bit trickier there, but that’s really the idea is that it’s a solid that’s highly organized. And again, it’s sort of periodic or has a repeating structure. 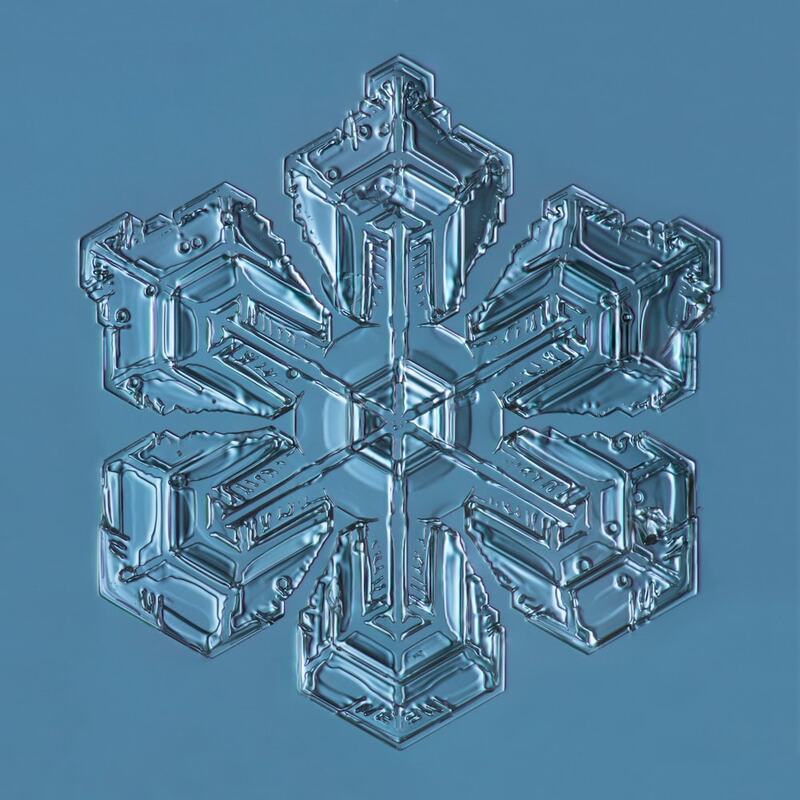 IRA FLATOW: And so snowflakes all have six sides. Let’s put that to rest. JASON BENEDICT: That’s right. That’s right. 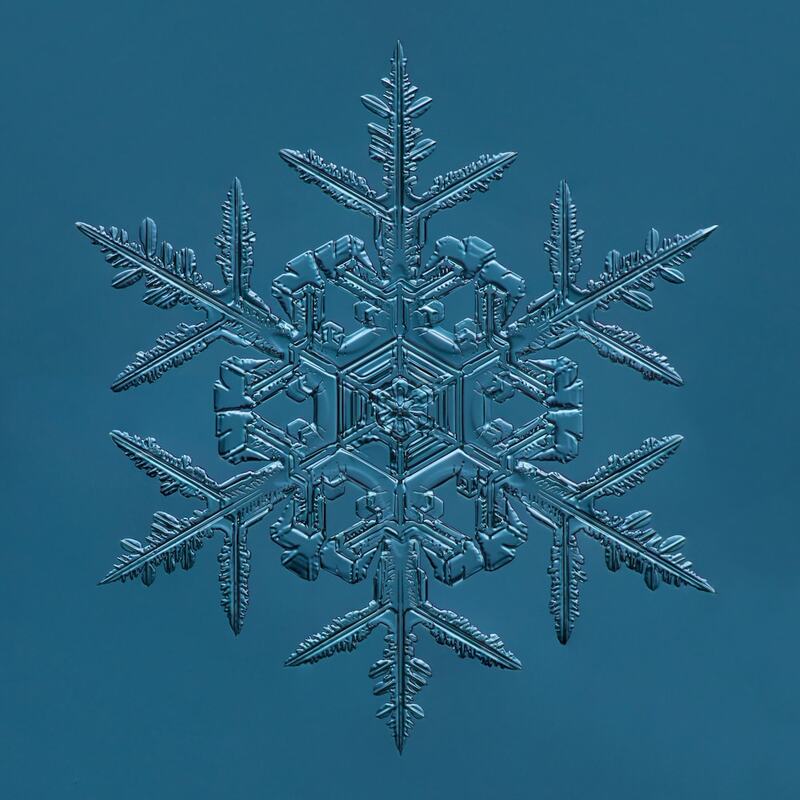 Now, they can have some pretty complex shapes, but the basic symmetry of a snowflake– at least a single crystal of a snowflake– needs to be sixfold. IRA FLATOW: And every now and then, you hear of scientists trying to create a new form of ice which is a crystal. JASON BENEDICT: Yeah, absolutely. So this is something that’s important to think about when you’re discussing crystals. And that is certain molecules can actually adopt different crystal structures. And so this is known as polymorphism where the same molecule again can organize itself into really pretty different ways, and this can actually have a pretty dramatic impact on properties. So this is important in things like pharmaceuticals and like really a variety of other things. But so how do you get crystals to do this? How do you get a substance to go into multiple crystal structures? Well, the two main parameters that people do are going to be temperature and pressure. So that is to say if you apply an enormous amount of pressure, the molecules that are in the crystal will actually rearrange themselves to potentially form a new crystal structure. And so ice has a huge number of polymorphs that are generally accessed through– yeah, changing temperatures or changing pressures. IRA FLATOW: But when you press ice, don’t you melt it? How are you going to make a new crystal? JASON BENEDICT: So locally, they can happen. A lot of times, we’re talking about really pretty enormous pressures, so many, many times the atmospheric pressure to get into some of these phases. But it can also be triggered by temperature as well. So if you really cool ice down, yeah, this structure can change into a new crystal structure. And what’s actually interesting about that is it doesn’t necessarily need to have sixfold symmetry anymore. 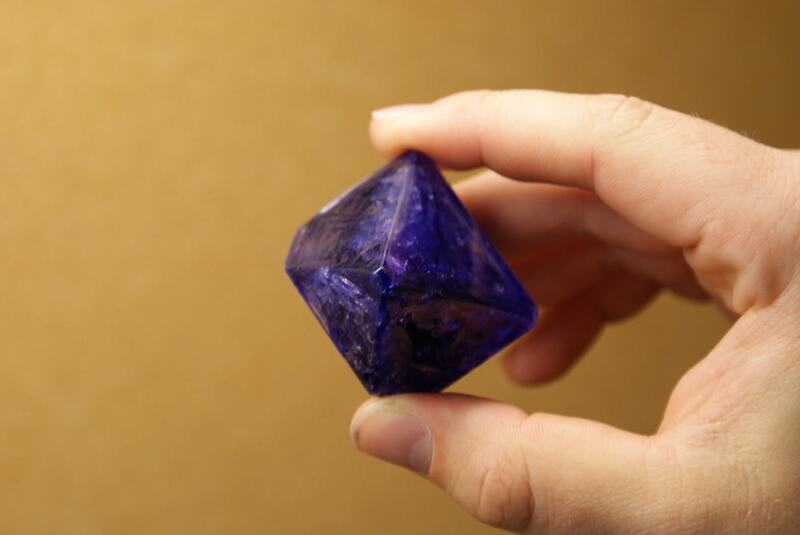 So you could actually wind up with crystals that don’t have that typical six sides. IRA FLATOW: Could have eight sides? IRA FLATOW: So you’re saying that natural form, it’s only six. But when you fool around with it, you can make it eight? JASON BENEDICT: Potentially. Yeah. Yeah. Now, the trick there– the caveat would be that you have to grow the crystal under those conditions. 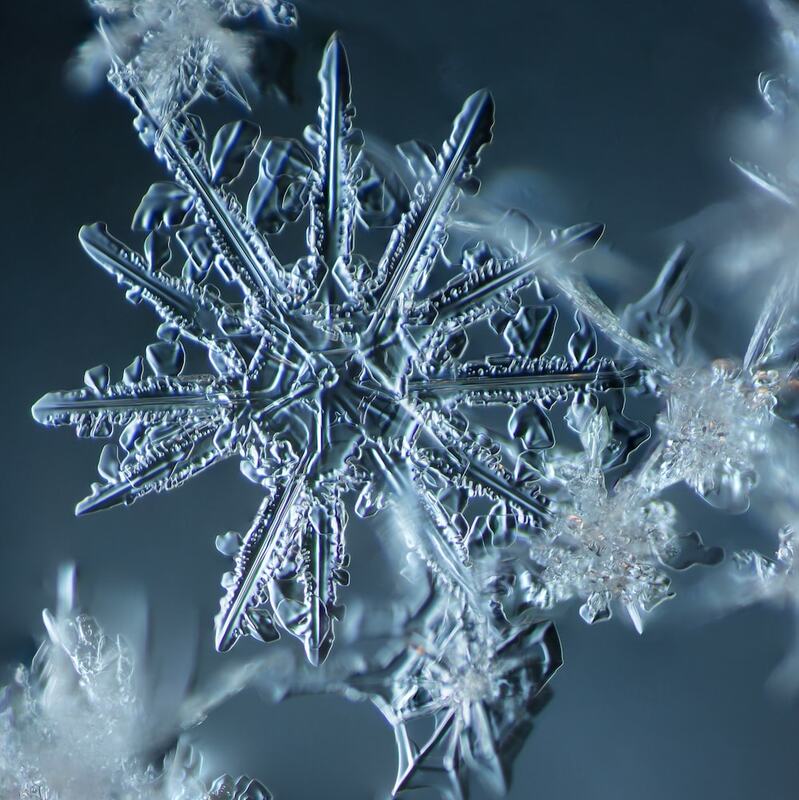 And to get these– what we think of as these spindly or dendritic structures of snowflakes, these are grown by crystals having generally vapor phase water molecules jump onto the crystal. It’s a little trickier to do something like that and experiment like that under ultra-high pressure, but I suppose in principle, it would be possible. And you could get those eight-sided snowflakes. IRA FLATOW: So that’s what you do, right? You look for ways to create novel crystal structures. You’re a crystallographer. IRA FLATOW: So what’s the useful stuff that comes out of what you do? JASON BENEDICT: Yeah, so the useful stuff– broadly, we can talk about some of the useful things that the crystals do. So they show up in all sorts of different technologies– computing, energy harvesting, chemical separations, and things like that. In chemistry, one very powerful aspect of crystals– and this is one reason that crystals are so near and dear to my heart– is if you shine x-rays on it, and that’s a whole nother show, but we can use x-ray science to elucidate the structure– get the crystal structure. And if we know what the structure is, we can actually go back and figure out what the shape of the atoms or the molecules were that made that crystal. And so, for example, this is how people know the structure of DNA. People actually grew crystals of DNA, shined x-rays on it, and solved the structure. And so for a chemist, this is an incredibly powerful tool to figure out what you made. IRA FLATOW: This is Science Friday from PRI– Public Radio International. Talking with Jason Benedict about crystal growing. Now, I said at the top that chocolate was a crystal. Did I make that up? Is that true? JASON BENEDICT: No, that’s absolutely true. And so getting back to what I had said about polymorphism– yeah, so the cocoa butter in chocolate can actually adopt a wide variety of crystal structures depending on at what temperature the crystals grew. And so that’s the whole science of chocolate tempering is you want to grow just the right type of crystals in that chocolate to give it that characteristic snap and the shining. IRA FLATOW: Wait, wait, wait– do you make chocolate at home a special way because you know how to make crystals? JASON BENEDICT: It certainly doesn’t hurt. I read up. I was like, hey. IRA FLATOW: I want to know how to do that. JASON BENEDICT: So, yeah. I forget exactly which polymorph it is, but that’s exactly what chocolate tempering is is trying to get all of the cocoa butter. In that chocolate to adopt one single phase. IRA FLATOW: That’s very delicious. Now, I know that you run the US National Crystal Growing Competition where students try to grow the best crystal tell us how that happens? Is it all about the temperature? What do you have to do to grow a good crystal? What makes a blue ribbon crystal? JASON BENEDICT: Yeah, it’s on the face of it, it’s pretty straightforward. But if it was super easy, it wouldn’t be much of a competition. So we grow a substance called alum. And again, this is provided by some of our generous sponsors that include the American Crystallographic Association and the NSF. And there’s basically two rules to the contest. The kids start out with 100 grams of this material, and they have five weeks to grow the crystal. And so how do you turn basically 100 grams of powder into a big giant crystal? You’ve probably seen some of the pictures online. Well, this is pretty easy. Anyone who’s grown rock candy or something like that has really done this before except you want more careful control. The idea is you’re going to toss this powder into water, heat it up, and let the water slowly evaporate. At some point, you’re going to hit a point at which the substance needs to precipitate out of solution. In this case, it crystallizes out. And now, there’s some finer details in terms of growing a seed crystal and whatnot. IRA FLATOW: I’ll bet– especially when I do it. IRA FLATOW: We used to do that rock candy. When I was in school, everybody was growing rock candy on a string and a toothpick with the sugar in the water sort of thing. I know you had a Cool Crystal category. There was some glowing and purple crystals there? JASON BENEDICT: Yes, so this gets into the rules. I love seeing what people can do when you take away the rules, and you just let people go. And that’s what the idea was with the Cool Crystal Contest. I just basically said, hey, grow a cool crystal, and the only rule is when you send it in, I’m not going to be sending it back. And so yeah, there was a teacher in a school district in Western New York who wound up taking a yellow highlighter and cracking it open and pouring the juice of the highlighter into the crystallization container. And yeah– out popped this crystal. And it’s a colorless– perfectly colorless crystal. But if you shine the light on it, it glows this really nice sort of turquoise blue. And yeah, there’s lots of pictures of it online on our Twitter feed and also on the crystal growing website. IRA FLATOW: Wow, and that’s great stuff. I wish we had more time to talk about it. We actually have photos of some of the crystals from the United States Crystal Growing Competition up on our website at sciencefriday.com/crystal. Thank you, Jason, for taking time to be with us today. It’s fascinating. IRA FLATOW: Good luck to you. JASON BENEDICT: You’re very welcome, Ira. Thank you so much. IRA FLATOW: You’re welcome. Jason Benedict, Associate Professor of Chemistry at the State University of New York. They call it University at Buffalo in Buffalo, New York. Primatologist Jane Goodall reflects on her career living in solitude among the chimps of Tanzania and challenging the conventions of science.